This is downtown Minneapolis around dusk, viewed from across the Mississippi River. The bridge is the Third Avenue Bridge. 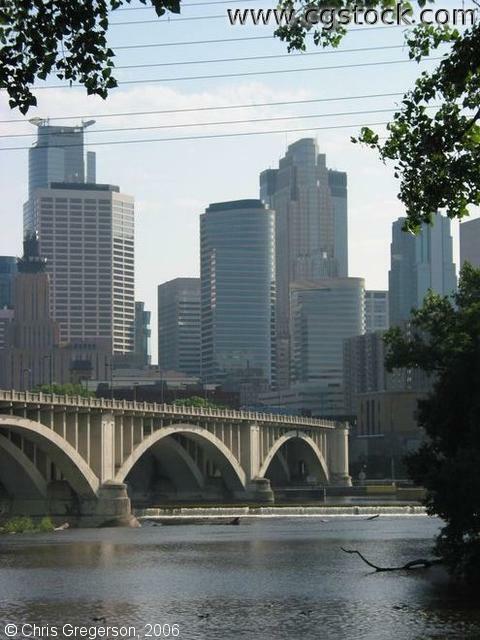 On the right is part of Nicollet Island.